Did you know the number one threat to your health is inflammation and the best way to fight it is with a healthy diet? There’s a difference between acute and chronic inflammation. Acute inflammation is the redness and swelling that happens after you’ve had an injury, for example. Chronic inflammation is the type that constantly tears down your body’s immune system and increases your susceptibility to serious health conditions. Chronic inflammation is linked to most diseases, including cardiovascular disease, obesity, high blood pressure, diabetes, arthritis, leaky gut syndrome and mental illness. Fortunately, the biggest thing you can do to reduce inflammation is completely within your control — your diet. Every cell in your body is made of what you eat. Certain foods can trigger inflammatory responses that put stress in your body, weaken your immune system, and prevent your body from functioning at its best. The Standard American Diet (SAD) is an inflammatory diet — full of refined grains, sugar and chemical food additives. Your best defense against chronic inflammation is adopting a healthy low carb diet. A ketogenic diet in specific has powerful anti-inflammatory benefits. Removing refined grains, sugar and food additives from your diet is the best health choice you can make. The next right step is to replace those with healthy, anti-inflammatory foods. Turmeric shines through as the anti-inflammatory superstar. In the last two decades alone, there have been over 6000 scientific studies showing the benefits of turmeric curcumin — the compound in turmeric that has been found to significantly reduce inflammation[*]. Curry isn’t just delicious, it’s a functional food. Turns out, curcumin is 154% more effective when combined with black pepper, specifically the piperine compound in black pepper[*]. Not only that, but when curcumin and piperine join forces, inflammation goes down quicker and curcumin stays in your blood for longer, which provides more anti-inflammatory perks from the same amount of curcumin. Make turmeric a daily non-negotiable in your life to maximize the health benefits. From curry to golden smoothies there are plenty of ways to enjoy this wonder root. When you can’t enjoy turmeric in food, you can still get the perks with a high-quality supplement blend of curcumic and peperine. Takeaway: Turmeric is one of the most anti-inflammatory foods and its effects are amplified when combined with black pepper. This root is mostly known for its ability to soothe an upset stomach, but it also contains significant anti-inflammatory properties whether it’s fresh, dried, ground, cooked, in oil form or supplemental. May be as effective and have fewer side effects than non-steroidal anti-inflammatory drugs (NSAIDs). Studies find it can be as effective as ibuprofen in the treatment of both severe menstrual cramps and post-surgical pain[*][*][*] because it reduces the prostaglandins that cause inflammation[*]. Inhibits the induction of genes involved in the inflammatory response. This means ginger may be able to modulate biochemical pathways activated in chronic inflammation. Add more ginger to your recipes for a spicy kick that actually reduces indigestion and significantly reduces inflammation. Takeaway: Ginger can suppress the expression of genes involved in inflammation and may be even more effective than NSAIDs. The fat profile of salmon is particularly impressive. A single 3 ounce serving of salmon contains 1921 mg of inflammation-fighting omega 3 fatty acids[*]. Salmon may be the star player, but other fatty fish help reduce inflammation as well. Look for wild, sustainably fished salmon, anchovies, sardines and butterfish. Fatty fish is defined as fish that is more than 5% fat by weight. Takeaway: Salmon is rich in anti inflammatory omega 3 fatty acids. Macadamia nuts are the fattiest nuts of them all and that’s just one of the many reasons they’re healthy for you. These nuts are up to 75% fat, and much of that fat is healthy monounsaturated fat, which has anti-inflammatory effects. Macadamias also pack some magnesium to help turn off pain signals and lower blood sugar, both of which have a positive impact on inflammation. Takeaway: Macadamias are rich in monounsaturated fat and magnesium, which are anti-inflammatory. Walnuts are slightly higher in net carbs, but as long as you keep your consumption in check, it’s totally worth it. An adequate intake of magnesium is necessary to prevent chronic inflammation and reduce pain, while omega 3s have powerful anti-inflammatory properties. Takeaway: Walnuts are high in omega 3s and magnesium, which work together to prevent chronic inflammation. All the vegetable oils you find on grocery shelves today, such as canola oil, are rancid and pro-inflammatory. Takeaway: Avoid vegetable oils as they dramatically increase inflammation. Choose healthier fats such as MCT oil, coconut oil, or olive oil. Is there anything kale can’t do? Kale, spinach, chard, mustard greens, romaine lettuce and other leafy greens are extremely rich in anti-inflammatory polyphenols. These vegetables are also rich in antioxidants that repair and fend off the damage of free radicals, such as beta carotene, and vitamins C, E and K.
Leafy greens also provide some magnesium, which helps prevent chronic inflammation. The amount of nutrients is going to vary from green to green, so the key is to get variety. Takeaway: Leafy greens are packed with nutrients that help lower inflammation. Curry is both delicious and a functional food. Take advantage of the synergistic, inflammation-fighting effects of turmeric paired with black pepper. 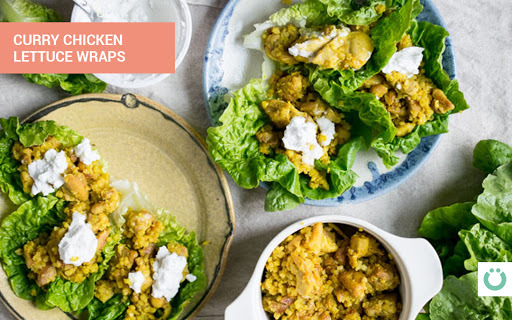 This recipe is both off the charts delicious and great for reducing inflammation one delicious bite after another. Click here to get the recipe. Now that you know how nutritious salmon is, it’ll taste even better. 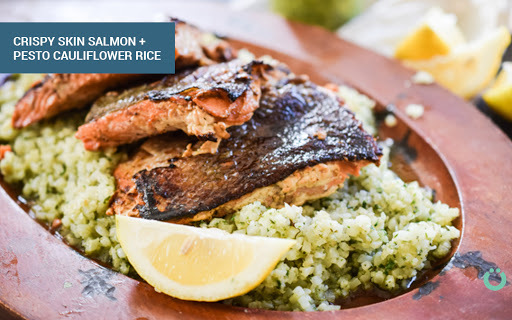 This Crispy Skin Salmon with Pesto Cauliflower Rice is perfect for getting your omega-3s in. Dig in with the recipe here. This indulgence is actually good for you. 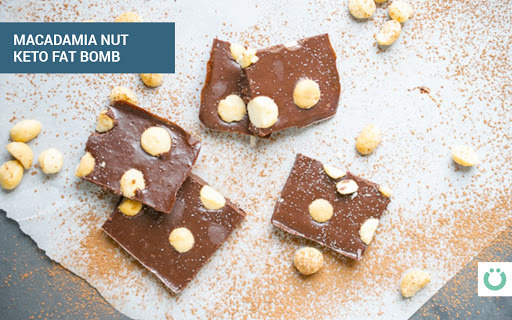 These Macadamia Nut Keto Fat Bombs pack loads of healthy fat plus another anti-inflammation powerhouse: dark chocolate. Treat yourself to these delicious, inflammation-fighting treats here. 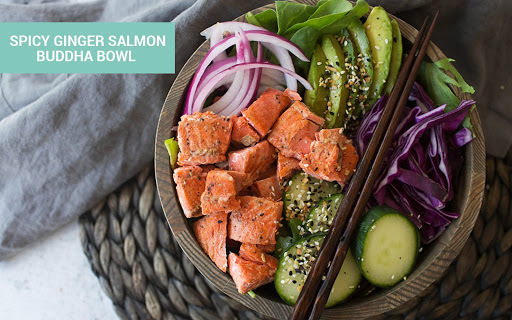 This spicy bowl packs anti-inflammation power from omega-3-rich salmon and ginger. Get the recipe here. 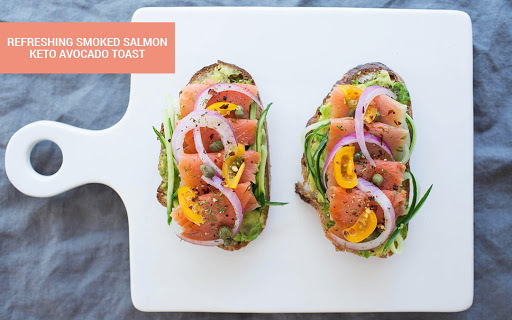 This keto-friendly toast combines avocado and salmon to give you an inflammation-busting breakfast, lunch or dinner. Find the recipe here. 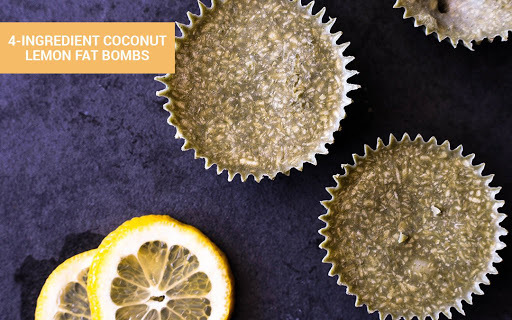 These fat bombs are packed with healthy fats from coconut butter and coconut oil, on top of having all the antioxidant and anti-inflammation power from Perfect Keto Microgreens Powder. Get this recipe here. Yes, dessert can be anti-inflammatory. 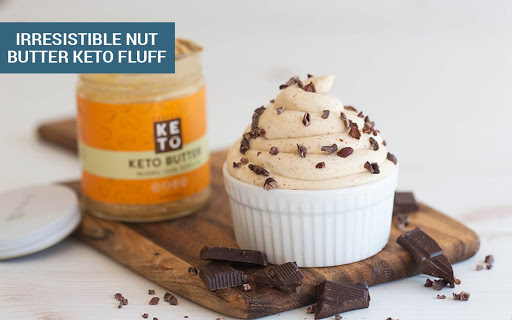 This keto fluff is bursting with the anti-inflammatory benefits of macadamia nuts because the star ingredient is Perfect Keto Nut Butter, which is a creamy blend of macadamia, cashews, and coconuts. Get the recipe here. A ketogenic diet cuts out the most inflammatory foods there are — refined grains and sugar — and replaces them with a variety of fatty, anti-inflammatory foods. The most anti-inflammatory foods you can add to your keto diet include turmeric, ginger, salmon, macadamia, walnuts, healthy fats, and leafy greens. If you’re currently dealing with an inflammation related condition or have a family history of these conditions, start incorporating these foods into your diet today.